Caseline Australia P/L Trading as Intricut has been operating in excess of 20 years. It started in a small shed with a CNC routing machine, one router bit and a can of glue. 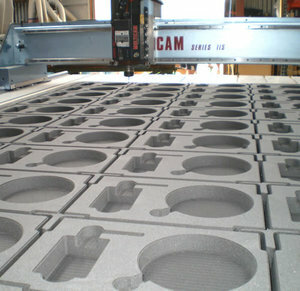 Since then the company has evolved into a “One Stop Shop” for all your Case and Custom Insert solutions. We are a Manufacturing and Distribution Company and as such employ local people and source all our raw materials within Australia. Our production process and the resulting end products are ”Eco-Friendly” and safe for our employees, our customers and our environment. It is still a family owned Company and our Mission is to exceed our customer’s expectations in quality ,service and cost through continuous improvement and customer interaction.